Angelo’s has been a staple on Sixth Avenue since 1974. It was owned and operated by the Laveo family until March of 2013, when Craig Jones and Eric Hyatt bought it and kept the old world family recipes adding modern twists, such as char grilled oysters and balsamic glazed ribs, to make the eclectic menu that you see today. Now, three years into its rebirth, Angelo’s is thriving in the same neighborhood, boasting Denver’s best happy hour and an oyster bar that moves over 7000 oysters a week, ensuring the freshest from both coasts. 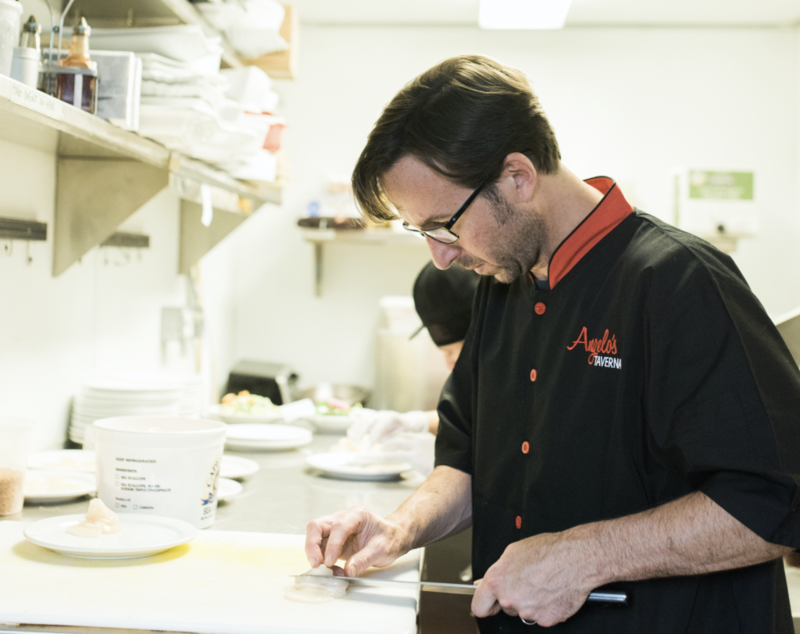 When a parcel of land became available in Littleton, Craig saw an opportunity to bring the Angelo’s concept to his neck of the woods. He partnered with long time friend and Chef Gabriel Aragon to offer the same great Angelo’s experience to the south suburbs, with a twist, Carboy Winery. They wanted to build a restaurant with a full scale urban winery as its Siamese twin, bringing our hand made pastas and pizzas together with the finest juice from around the world just a tap handle away. The 10,000 square foot facility, with it’s stainless steel tanks and barrel aging room, has been built with that very intention in mind. We strive to bring the best food and wine to your table without pretentious prices or attitude. We are merely shuckers and sippers with a desire to share our collective experiences and make them yours.